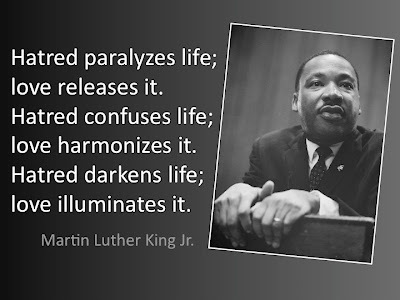 3 Ways to Share Martin Luther King Jr. Here is a word cloud of his "I Have a Dream" speech on wordle.net. YouTube has several videos of him giving speeches, various tributes, and plenty of interviews with pundits talking about him. This one is a brief clip from the last speech he gave. His timing, cadence, and intonation are amazing. I also like the camera angle. There are so many powerful quotes from this eloquent orator. Here's one my favorites. Start celebrating today on his actual birthday!